Avendus advises Take Solutions, in its acquisition of UK based WCI Consulting Group. TAKE Solutions (BSE: 532890), the international business technology company with products and solutions backed by a strong domain expertise in Life Sciences and Supply Chain Management has announced its acquisition of UK headquartered WCI Consulting Group. 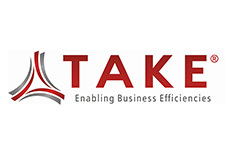 TAKE has been looking to establish a greater capability in Patient Safety and to establish Business Consulting capability to complement its portfolio of IP based business solutions and services. The acquisition of WCI Consulting also establishes a presence in Europe for TAKE, a market previously served remotely from TAKE's established geographies. Avendus Capital advised Take Solutions on this transaction. WCI Consulting is a leading Patient Safety and Compliance advisor to the Life Sciences industry. WCI also founded pvnet® and pvconnect®, the industry's primary forums for Patient Safety, which has been shaping the industry's approach to pharmacovigilance over the last 10 years. TAKE Solutions is an international business technology company with products backed by a strong domain expertise in Life Sciences and Supply Chain Management. With extensive technology expertise in Business Intelligence and Business Process Management, TAKE's track record in delivering world-class solutions throughout global markets is well proven. Technological innovations have always been the driving force of the company, which in turn helps TAKE's customers achieve consistent growth in business. Headquartered in Chennai, TAKE primarily drives its SCM Domain Excellence Centre and Global Delivery Centre from India and Middle East. The Company has a strong presence in the USA with the Life Sciences Domain Excellence centre located in Princeton, New Jersey. The Company conducts business today with more than 400 customers worldwide. WCI Consulting Group is a leading Life Science consulting company focused on patient safety, risk management and quality & compliance. By leveraging best practices in process and technology, the subject matter experts at WCI work with a wide range of pharmaceutical, biotechnology, consumer health, medical device, and dietary supplement organizations, helping implement solutions which assure compliance and boost performance. WCI also has a strategic alliance with Sidley Austin LLP, the leading provider of legal services in drug safety in the USA, EU, and China. The company was founded in 1986 and is head quartered in Hampshire in the United Kingdom.